I bought David's Tea Ginger Beer by chance because it was the tea of the month for October (it was October 31, so it was the last day in the spotlight, too!) Plus bf loves ginger beer, so why not? 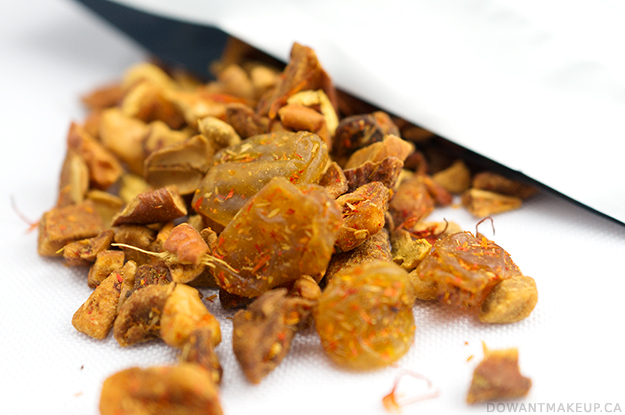 Turns out I love it too--it's a little sweet and not super spicy. It sounds weird to drink something that's like warm ginger ale/beer but worth checking out! Honourable mention for Blenz's tiramisu mocha from the new holiday drink menu! I just tried it yesterday and it's delicious and creamy, although kinda pricy. I think I will get all sorts of things thrown at me later for this, but blush is kind of all the same to me :x I don't really think about what blush to wear in the same way I think about eyeliner or lipstick. Lately I've been reaching for Annabelle blush in #44, which is a muted mauve-y rose. 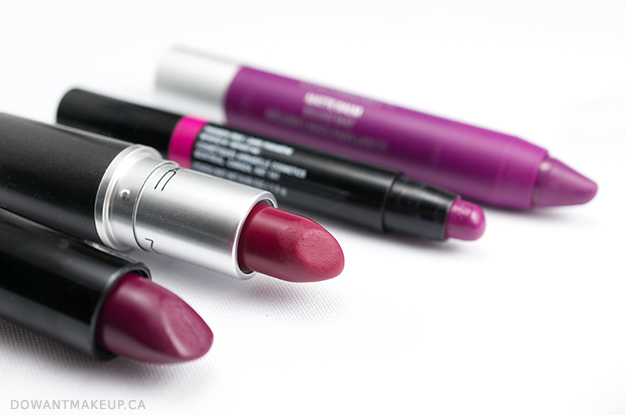 It pairs well with all the vampy lips I've been wearing lately! I bought this infinity scarf last year from Nordstrom Rack during a trip to Portland, mainly because it was real damn windy! It was a random purchase at the time, but it's a perfect transitional piece for when the weather is getting chilly but not so cold that I need to bust out the big guns. It's also quite handy as a backdrop for product photos, haha. The most recent would be ArtDeco Couture Mystical Heart, but of course I have too many I love to give just one answer! The subtle shimmer in the deep navy of Sephora Formula X Wunderkind (used here) makes it extra pretty. 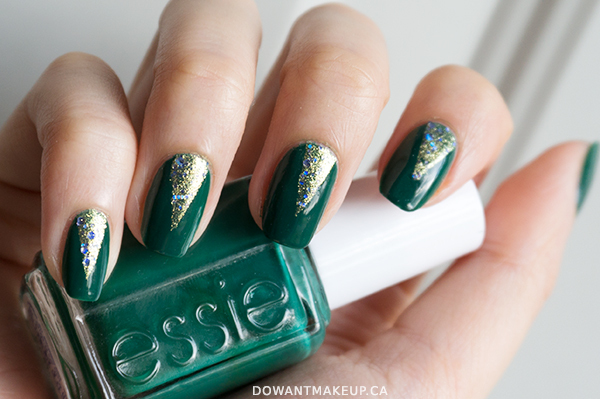 The photo above combines two of my fall favourites: Essie Going Incognito and Essie On A Silver Platter (original post here). I actually watch a lot of TV, but I was able to narrow down my answer easily. I am a big fan of Sleepy Hollow--lots of POC in the cast and badass women in charge, plus Tom Mison and Nicole Beharie are adorable! (I'm not usually a softie for accents, but look up Tom Mison--bonus points if he's talking in character! There's something about the timbre of his voice that is very pleasant, to put it mildly :P) I also just watched the series premiere of Into The Badlands, which looks promising. The turkey and gravy, of course! Bf's mom makes Thanksgiving dinner every year and she lays bacon over the turkey to cook with it in the oven--om nom nom. Sorry but I haven't dressed up for Halloween since I was 11. I keep meaning to make a costume and then get lazy. 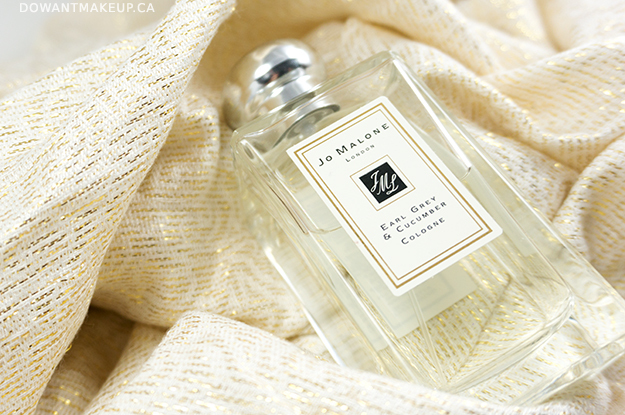 Jo Malone Earl Grey & Cucumber, hands down. I get zero cucumber, but I love the cozy vanilla and tea notes. Fun fact: I took this photo and several others with the intention of writing a post highlighting how much I like Jo Malone perfumes. It has been over a year since I took these photos. The backlog will never end. What are some of your fall favourites? If you decide to do this tag, let me know so I can read all your answers!